Forget Bing vs. Google. 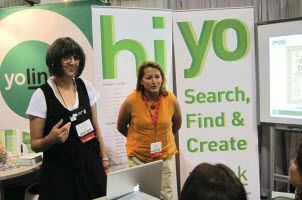 Take your students to the next level of search and try yolink (http://yolinkeducation.com). Search links and electronic documents via key terms and find content in context with key words highlighted for easy recognition. Collect and share desired content with automatic syncs through several of your favorite tools including Google Docs. Best part? You can also embed yolink technology into your district and school sites or blogs for free (see http://developer.yolink.com). T&L adviser Lisa Thumann has posted some lesson plans to get you started at http://yolinkeducation.com.